Sauté vegetables in butter for 3 minutes or until onions are translucent. Add flour and mix until flour is absorbed. Add remaining ingredients and bring to a simmer, stirring often. Allow sauce to simmer for 5 minutes, test flavor and set aside on low heat. 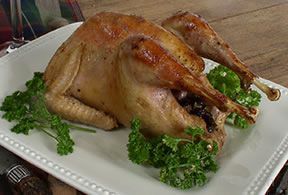 Dip each piece of pheasant in flour and place in preheated skillet on medium-high with a generous amount of olive oil in it. Pan fry pheasant on each side until light brown. Place pheasant in Dutch oven and cover with sauce. 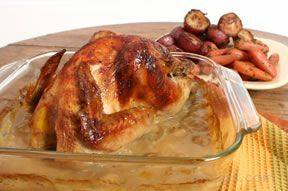 Bake at 375° for 45 minutes or until tender. 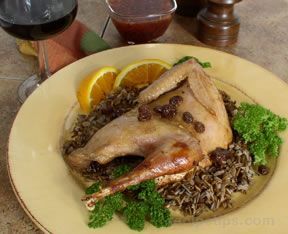 Serve with white and wild rice with some orange segments and cranberries in it.